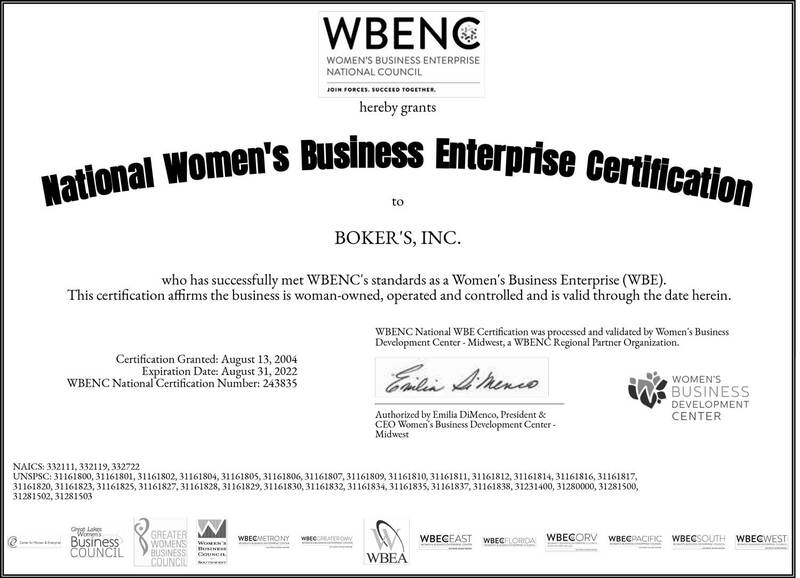 Brass Spacers | Boker's, Inc.
Boker's is a metal stamping manufacturer of brass spacers. Spacers made from brass are often used for applications where low friction is required and also used for decoration for its bright gold-like appearance. Boker’s provides brass spacers in a variety of shapes and sizes up to 12” x 12” (flat) with thicknesses from .005" to .190". To obtain a quote for brass spacers fill out Boker’s fast quote form and submit applicable production prints. 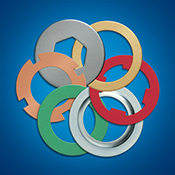 Search below to identify tools in stock available for manufacturing flat round brass spacers in any quantity without a tooling charge. You can choose an exact thickness for precision brass spacers within the tool range indicated. If no tool is available within your specified tolerance range Boker's can have a custom die manufactured in just a few hours. For custom orders fill out the fast quote form.